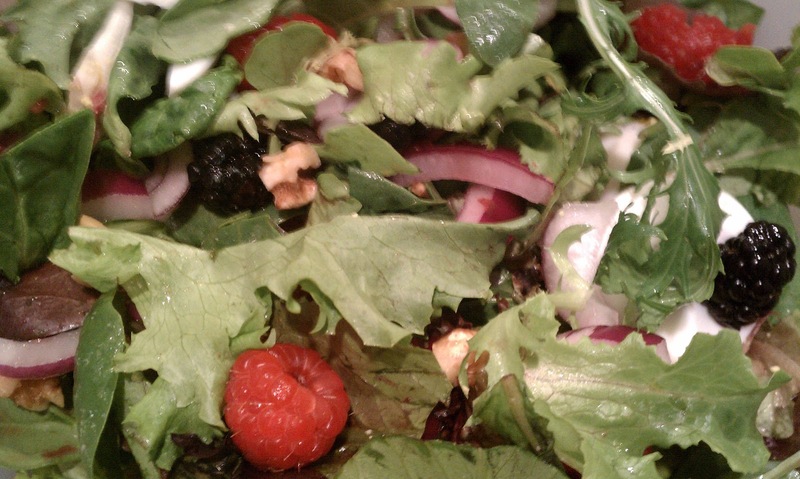 A refreshing, sweet and savory salad. Perfect for spring. 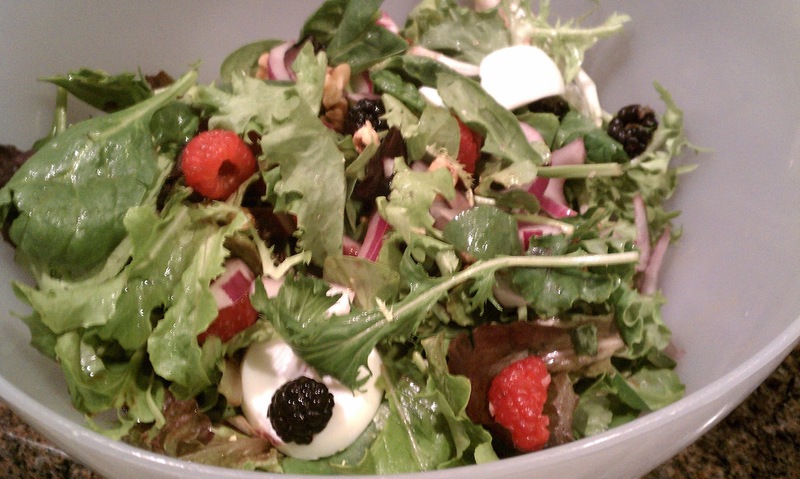 For the salad, combine in a large bowl the spinach, onion and egg together. Garnish with walnuts and fresh berries. 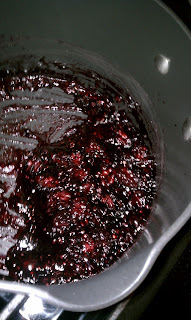 To make the blackberry sauce, combine the blackberries and sugar in a medium saucepan set over medium-high heat. Cook, stirring occasionally, until the berries begin to release some of their juices and the mixture is simmering. Stir in the lemon juice and zest. Combine the cornstarch and water in a small bowl; whisk until smooth. Add the cornstarch mixture to the blackberries and mix well. Reduce the heat to medium and let cook, stirring occasionally, until the mixture comes to a low boil and thickens slightly. Remove from the heat and keep warm if desired. The sauce will thicken slightly as it cools.